Barcelona’s midfield has been the envy of the world for the past several seasons. Players like Xavi and Andres Iniesta have helped solidify the Catalonian club as the world’s best passers of the ball and two years ago a new name joined this elite group. After helping Sevilla claim the Europa League crown, Ivan Rakitic joined Barça and has helped continue their beautiful style of play. 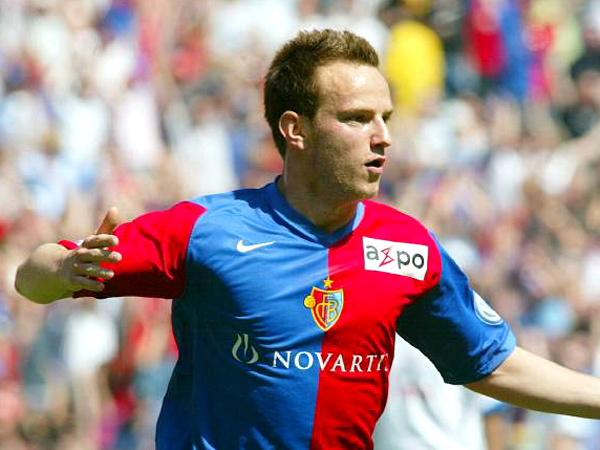 Despite his Croatian nationality, Ivan Rakitic’s career actually got its start in Basel, Switzerland. His father and brother were both players, so Rakitic followed in their footsteps and started to develop his game. As a teenager, the young midfielder decided to stay in Switzerland to further his career joining FC Basel’s youth academy. After several years in Basel’s youth system, a 17-year-old Rakitic made his first team debut during the 2005/06 campaign. That year, the Croatian would make just two substitute appearances, but he was poised to become a major contributor to Basel’s first team in the coming years. The next season, Rakitic was a near perennial starter for Christian Gross’ squad. Still just a teenager, the midfielder would make 34 appearances between the Swiss Super League and the UEFA Cup. This breakout campaign saw Rakitic score nine goals as Basel claimed the Swiss Cup and a second place finish in the league. Thanks to his impressive performances, the 19-year-old was also named the Young Player of the Year for the Swiss Super League. His breakout season in Basel earned Rakitic some interest from abroad. That summer, Bundesliga club Schalke 04 signed the Croatian midfielder for a reported fee of €5 million. It was a sweet start for Rakitic in Germany as he scored against VfB Stuttgart on his Bundesliga debut. The former Basel youngster quickly became an integral part of Schalke’s midfield during league play and also during the Champions League where the German club made it all the way to the quarterfinals. The 2008/09 campaign wasn’t quite as fruitful for Rakitic in Germany. His playing time dwindled as he made just 23 league appearances (six less than the previous year). Despite the drop in playing time, the Croatian still managed to lead the team in assists with seven. This decline in action didn’t last long for Rakitic as he was restored to the starting lineup for the majority of the 2009/10 season. After three and half fruitless seasons at the Veltins-Arena, Rakitic left for greener pastures in Spain. During the 2011 Winter Transfer Window, the Croatian midfielder agreed to join Sevilla for a reported fee of just €2.5 million. 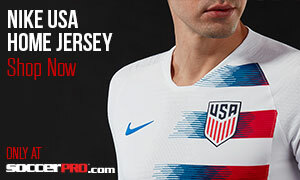 What a bargain that would prove to be. In that final stretch of the season, Rakitic would start all 13 league matches he was available for before being sidelined with a foot injury. Even with such a short window to impress, the 23-year-old still managed to score five goals and assist another two in his debut half season in La Liga. The best was yet to come. During the 2011/12 season, Rakitic split his time between the starting 11 and the substitutes’ bench. Out of his 36 appearances that season, 19 came as a starter. His first full season with the club didn’t yield the same type of offensive production as Rakitic failed to find the back of the net, but he did still register six assists (second best on the team). After a slight decline in his form that season, Rakitic would go on to have the best statistical season of his career the following year. Out of the the club’s 38 league fixtures, Rakitic would start 34. Through all competitions, the Croatian would make 42 appearances for Sevilla setting career-highs in both assists (ten) and goals (11). 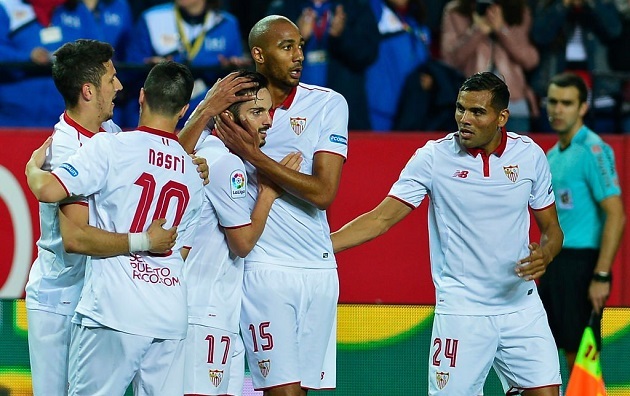 His impressive form helped Sevilla to a ninth place finish in the league and earned them a spot in next season’s Europa League due to Málaga and Rayo Vallecano’s exclusion from European competition. In his final year with the club, Rakitic would be named captain. He built on his unbelievable form from the 2012/13 campaign as he once again set career-highs in goals (15) and assists (13). The 26-year-old even managed to score a brace against Real Madrid during a 7-3 loss to the Spanish giants. Under Rakitic’s captaincy, Sevilla surged to a fifth place finish in La Liga, but the highlight of the season had to be the Europa League as the club claimed its third title with a dramatic victory over Benfica in the final. This amazing season earned Rakitic several individual honors. His performances in Europe earned him a place in the Europa League Team of the Season, as well as Man of the Match honors in the final. Domestically, the Croatian was named in La Liga’s Team of the Season (the only Sevilla player to be named). The following summer, Rakitic finally made the jump to join a European giant. FC Barcelona signed the Sevilla captain in July of 2014 for a reported fee of €18 million. He was part of a big group of summer signings including Luis Suárez, Marc-André ter Stegen, Claudio Bravo and Jérémy Mathieu. With Xavi no longer able to play as a week-in-week-out starter, Rakitic almost immediately found himself in Luis Enrique’s starting 11. Throughout his first season at the Nou Camp, the 27-year-old would make 50 appearances between all competitions. Included in those 50 appearances was a start in the Champions League final against Juventus. Rakitic would end up scoring in that massive clash as Barça claimed their fifth Champions League title. That year was by far Rakitic’s most successful as a professional as Barça won not only the European title, but also the La Liga title and the Copa del Rey: a European Treble. 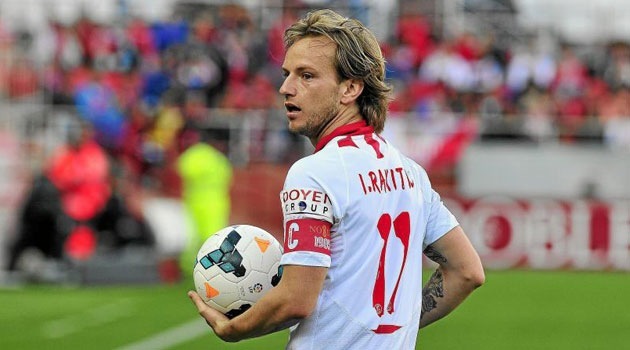 After starting his international playing career with the Swiss youth teams, Rakitic accepted a call-up to play for Croatia at the senior level. He would end up making his debut in 2007 during the team’s qualifying matches for the 2008 Euros. During that tournament, Rakitic would start the team’s final three matches before being knockout by Turkey in the quarterfinals. The Barça midfielder has gone on to represent his adopted nation in the 2012 Euros and the 2014 World Cup in Brazil. In both of these tournaments, Croatia failed to advance past the group stage finishing with just two wins through both competitions. To date, Rakitic has racked up 75 appearances for the Croatian National Team. Ivan Rakitic is the definition of a box-to-box midfielder. His soccer IQ allows him to pick out precise passes to spark the attack, while also allowing him to integrate into Barça’s famed possession style of play. At just over six-feet tall, the Croatian can also be a big physical presence in the defensive third of the pitch. Alongside Sergio Busquets, Rakitic has become part of a dominant defensive midfield that acts as a shield for an already strong backline. In addition to his excellent passing ability, the 28-year-old also possesses a powerful shot that makes him a threat from outside the box.